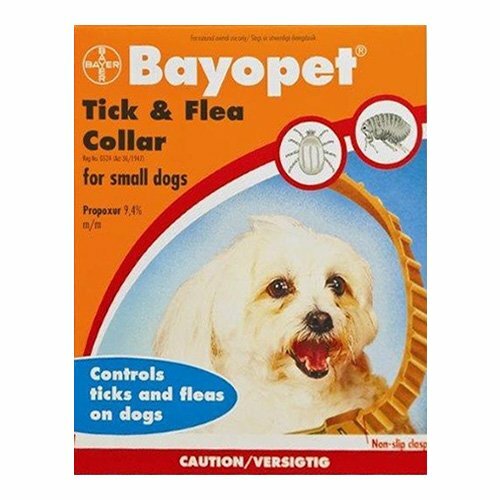 An efficient flea and tick collar from Bayer, Bayopet is a highly useful flea and tick control collar for dogs. 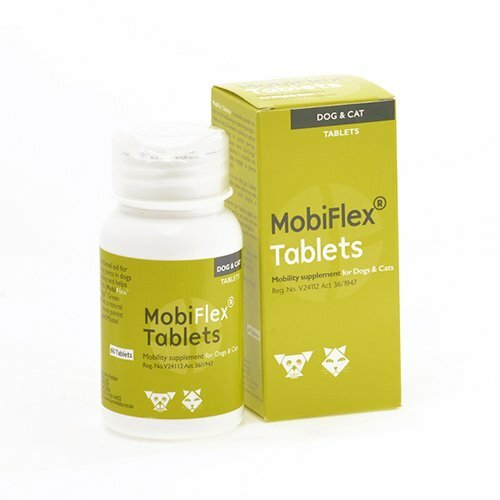 This ectoparasiticide is highly effective in eliminating existing fleas and ticks. 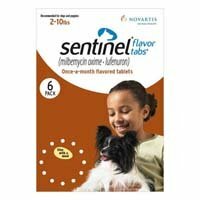 The long lasting effect protects dogs from future flea and tick infestation. Bayopet collar is made of plastic resin that does not cause any irritation and is safe for dogs. This tick and flea collar is specially designed to easily fit on dog’s collar without causing any irritation. The adjustable non-slip clasp holds the collar firmly. The collar is developed with safety measures that ensure the dog can be set free under stressful condition. 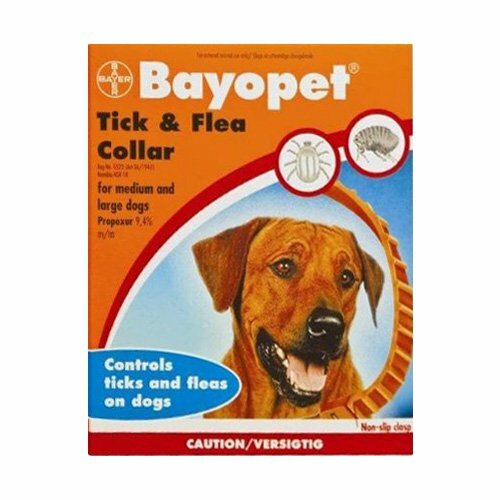 Bayopet Tick and Flea Collar is a uniquely formulated collar treatment for dogs. With Propoxur as its key ingredient, Bayopet is efficient in controlling fleas and ticks on dogs. It starts working within 24 hours and eliminates fleas and ticks. 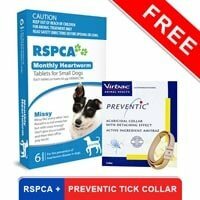 The efficient parasitic collar remains effective for a long time and prevents tick infestation for 10 weeks and flea infestation for 16 weeks. This clinically proven tick collar is safe for small and large dogs with no possible side effects. Check that the collar is not too tight around your dog’s neck. Cut off the excess if necessary and dispose of properly. The collar should be worn loosely to prevent possible irritation. If your dog is accidently caught by the collar, a safety section is moulded into the collar which will break if stretched in excess and thus prevents your dog from choking. Keep it in a sealed pack unless ready to use. Do not drink, eat or smoke while or after fitting the collar. Keep away from food and drinks. Whenever I take my poodle out for a walk, I usually tie this collar around his neck. It gives him protection against fleas as far as I have observed. On one instance, I saw the flea trying hard to jump over my dog who was standing with another dog that had fleas. That flea literally wasn't able to come near to my pet. I was flabbergasted. Don't know whom to thank, Bayer for manufacturing or BudgetPetCare for selling such a great product and that too at such affordable prices. 1 of 79 found this review helpful. I tried it for the first time. I had never expected that this collar would work so amazingly and help my dog get rid of ticks. Now, my pet is as jolly and playful as it was before this infestation. Thank you, Budget Pet Care. Bayopet is fine to keep ticks at bay. 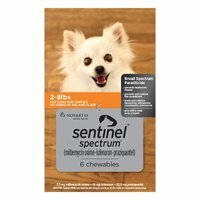 I recommend this along with an effective flea and tick treatment. 237 of 237 found this review helpful. Yes, they are indeed. And after purchasing this I found it true. Once something came upon my dog god knows why he was behaving strangely and I noticed the collar is braking on its own and it did. So the description prove to be true and effective. My dog was saved..
0 of 31 found this review helpful. Unique way of working, I personally love to read the descriptions and then buy the products unrelated with the price. Reading in depth about Bayopet and using it on my dog has proved effective. 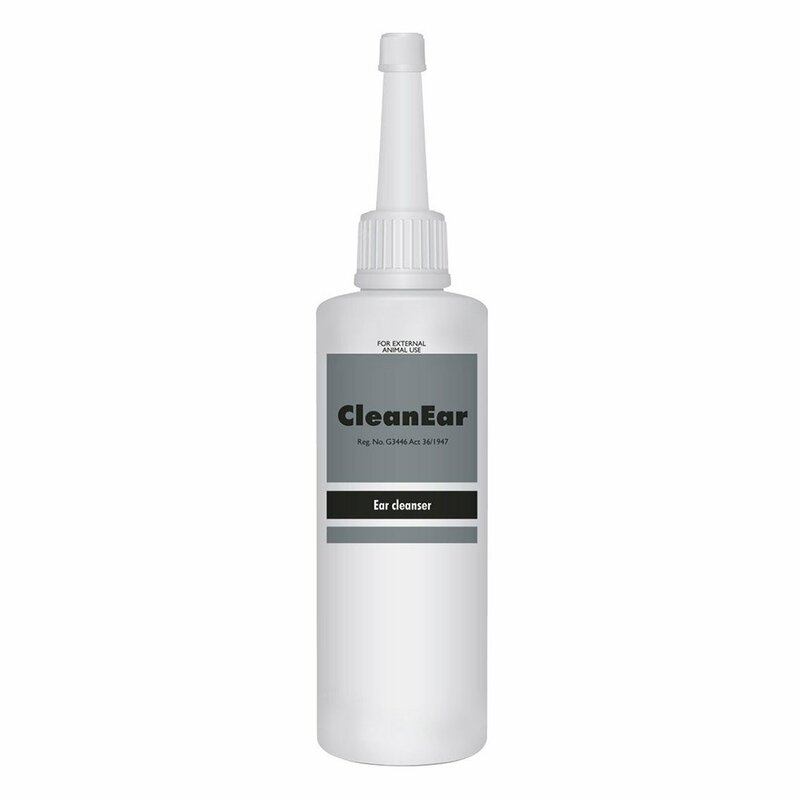 It worked efficiently in removing those nasty ticks and fleas.